Episode three, 'Fractured Mask,' is now available for download on Xbox One, PlayStation 4, PC, Mac, and mobile. A special Batman: The Enemy Within Season Pass Disc for Xbox One and PlayStation 4 is also available at retailers across North America and Europe. The disc includes the first episode of the season, as well as download access to all subsequent episodes as they are released. 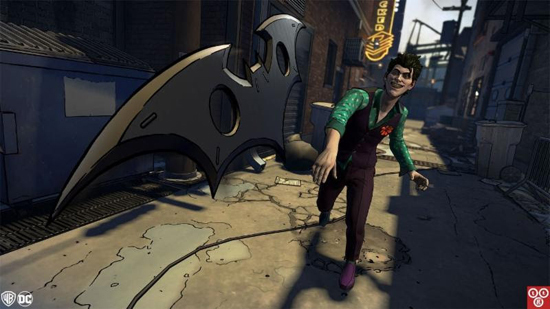 This new season is intended to be accessible to both returning fans and newcomers alike, though players' choices from the first season of Batman - The Telltale Series will optionally carry over into The Enemy Within. This season also includes Telltale's unique multiplayer 'Crowd Play' feature, which allows friends and family to engage with the adventure together by helping to decide the direction of the story from any mobile device with an online connection.